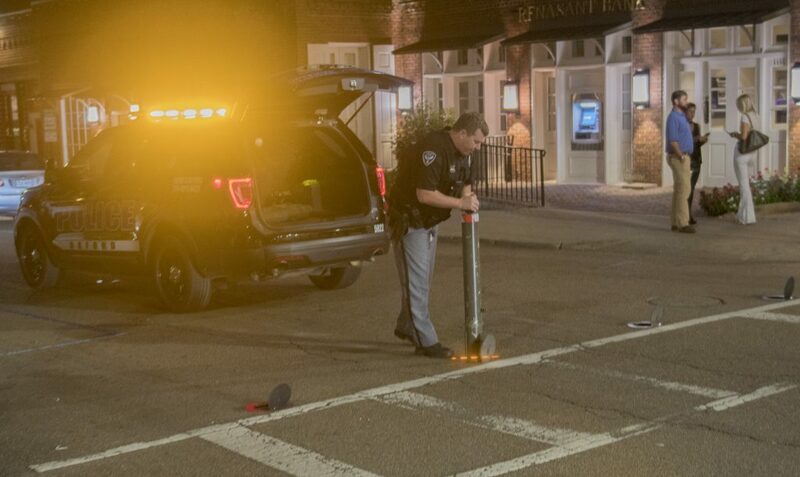 For nearly two years, Oxford Police Department has dedicated a team of officers to helping downtown business owners feel more secure during crowded nights on the Square. The Downtown Unit was formed in January 2017, after OPD’s Flex Unit ended. The Flex Unit consisted of four officers who patrolled the Square during peak hours, especially Friday and Saturday. These officers were responsible for patrolling Oxford, in general, but always ended up on the Square on the weekends. Noticing this pattern, OPD created the Downtown Unit. Sgt. Craig Baker, the officer in charge of OPD’s Downtown Unit, said the unit manages a unique work schedule on the Square. Downtown Unit officers work 5 p.m. to 3 a.m., Wednesdays through Saturdays, and experience busier shifts beginning on Thursdays. These officers also work all weekends during the school year, from August to May, with Sundays through Tuesdays off. On the days that Downtown Unit officers are off, OPD patrol officers monitor the Square. The area between University Avenue and Jefferson Avenue and between 9th Street and 14th Street is within the Downtown Unit’s eight-officer jurisdiction. The bicycle patrol, mounted patrol and safe site tent are also a part of the unit. The Downtown Unit manages many common incidents on the Square, such as public intoxication, open containers and fake IDs. Downtown Unit patrol officer Blake Horton said there have been fewer disturbances since the unit was formed. Horton also said he enjoys the personable aspect of working on the Square. “I love it. It’s a lot of fun. I’m a people person. I like talking to people and taking pictures. It allows parents to see how safe downtown is because we’re always present,” Horton said. Businesses on the Square feel the unit’s constant presence. City Grocery manager Locke Phillips said he has worked on the Square for 20 years and hasn’t experienced many issues, but he said the unit is needed. “I would say on big weekends it’s necessary for crowd control. Their presence will make people think twice,” Phillips said.